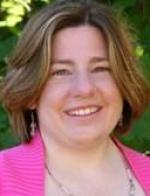 Eileen Catherine Sullivan, 40, a resident of Watervliet, NY, formerly of Wingdale, NY, passed away on Wednesday, April 4, 2018 at St. Peter’s Hospital in Albany, NY. Eileen was a communications auditor for Blueshield of Northeastern New York in Latham, NY. Born on November 9, 1977 in New Rochelle, NY, she was the daughter of Joseph and Janet (Neils) Sullivan. Eileen was a graduate of Dover High School class of 1996. In 2000, she received her Bachelor’s degree from St. Rose College in Albany, NY. 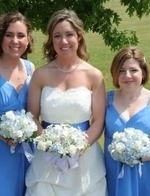 In addition to her loving parents, Eileen is survived by a brother, Brendan Sullivan and his wife, Heather, of Lagrangeville, NY; a sister, Patricia Young and her husband, Frederik, of Waterford, NY and three nieces Keagan, Kiley and Kerigan Sullivan. The family would like to thank all of Eileen’s many friends and co-workers that have shown her love and support over the years. To send flowers to the family of Eileen Catherine Sullivan, please visit our Heartfelt Sympathies Store.